When you think about the must-haves for preparing healthy and delicious meals, proper ingredients are probably the first items that come to mind. However, one cannot cook to the best of one’s abilities and make the most out of the ingredients if they lack the right tools to do so. In that respect, the right cookware – pots and pans – is also essential when it comes to meal preparation. It’s paramount to find the best quality cookware for your own needs if you want to make sure that the cooking process goes smoothly. By investing in high-quality cookware you’re investing in a better quality lifestyle as well. Not only will this kind of cookware last for a lot longer but it will undoubtedly make the food preparation easier and healthier. If you don’t care about the materials and the way pots and pans are made, you may be able to save up some money initially, but such practice will cost you a lot more in the long run. 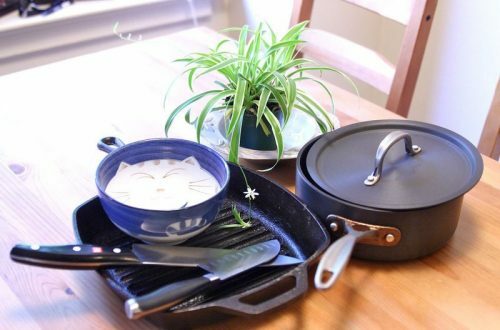 Poor quality cookware will have to be replaced very often, not to mention the inconvenience of burned food due to the poor heat conductivity and distribution. Unless you’re a professional chef, you really don’t need a huge amount of pots and pans for your kitchen. That would just be wasteful spending and storage. The key here is to choose the cookware that will suit your cooking style and meals you tend to prepare. In general, an average household can do perfectly well with a set of two different saucepans for example. Moreover, two types of skillets and baking casserole dishes are also more than enough. Of course, this may not be enough for your particular needs – or it can turn out to be too much on the other hand – so always go shopping for cookware with your own eating and meal prepping habits in mind. Without a doubt, non-stick cookware is one of the most useful inventions when it comes to meal prep. These pans can save you both time and energy when cooking. Cleaning them is also a lot easier. However, there are a lot of different types of non-stick surfaces and materials, which is something you need to pay attention to. 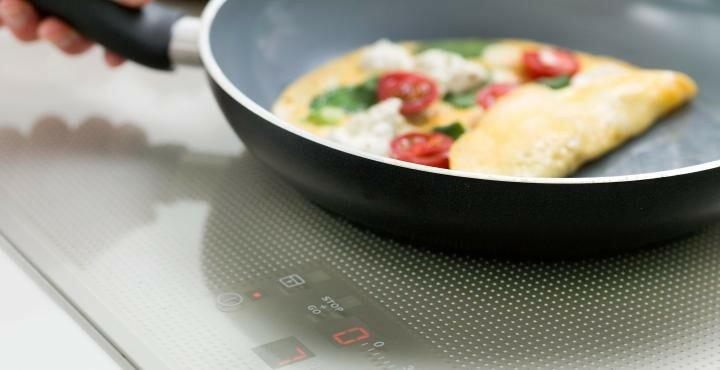 In general, one of the most popular materials when it comes to non-stick surfaces was Teflon, but some research indicated that Teflon may not be the healthiest option since it can release toxins at high temperatures. This doesn’t mean that you have to give up the convenience of non-stick cookware. There are plenty of modern brands, such as the cookware authority Anolon, that offers various sets and ranges of pots and pans that are durable, functional, non-stick, perfectly healthy and suitable for all kinds of cooking surfaces. You may not even be aware of this décor hack, but the truth is that cookware, and especially larger items that are usually kept on the countertops or hanged on the wall hooks, can actually transform the look of your kitchen. Luckily, these days there are plenty of sleek, modern but also vintage-like and decorative cookware options on the market so that you can style up your kitchen and the cooking process the way suits you the best. The personal environment is really important for people’s productivity and well-being, and it’s the same case for cooking. If you want to spend more time preparing healthy meals and find the necessary motivation to do so, the right kind and look of cookware may be the answer to this. When on the search for the best kind of cookware, there are some specific qualities you want to keep in mind. For starters, the most important aspect of cookware is the heat conductivity. Basically, you want to get cookware with higher heat conductivity so that your food is cooked evenly. The next point is durability. As mentioned, if you invest in more durable and high-quality cookware, it will last you for years to come. Reactivity is the next aspect to pay attention to. Some materials can react with foods, especially when the pot/pan is not well-made. This is why you need to consider only the trusted and experienced manufacturers in the cookware market. In the end, maintenance and price are two factors that are not as important as the previous ones, but they can still help you narrow down your search for the right kind of cookware. Without the right tools, you can’t paint your walls, draw a picture or make a table or nightstand from scratch. It’s the same with cooking and preparing meals. Cookware you use is an essential part of healthy lifestyle, so make sure to carefully consider your needs and wants in this regard as well. Luckily, once you’re done with shopping and feel satisfied with your cookware, you probably won’t have to think about it for a long time.